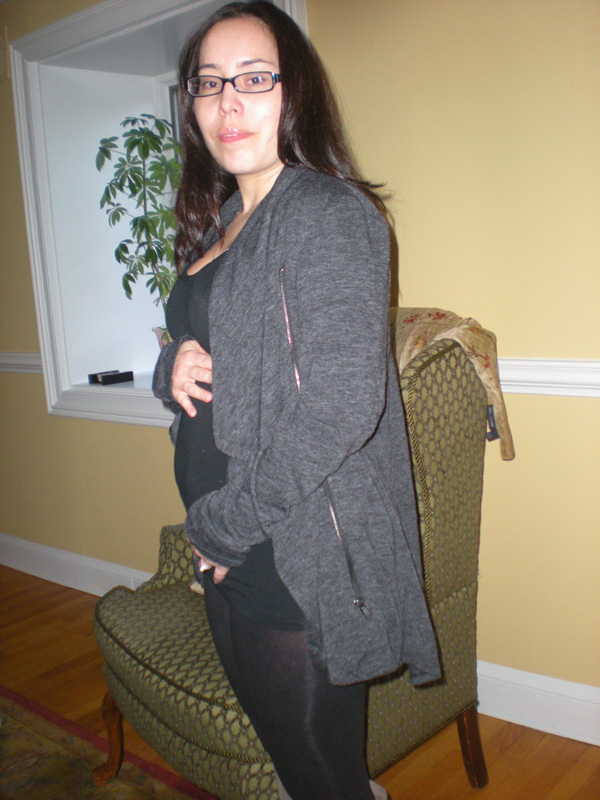 The Colcha: The concept behind the colcha was to do something special for a baby that is coming to the group’s family. 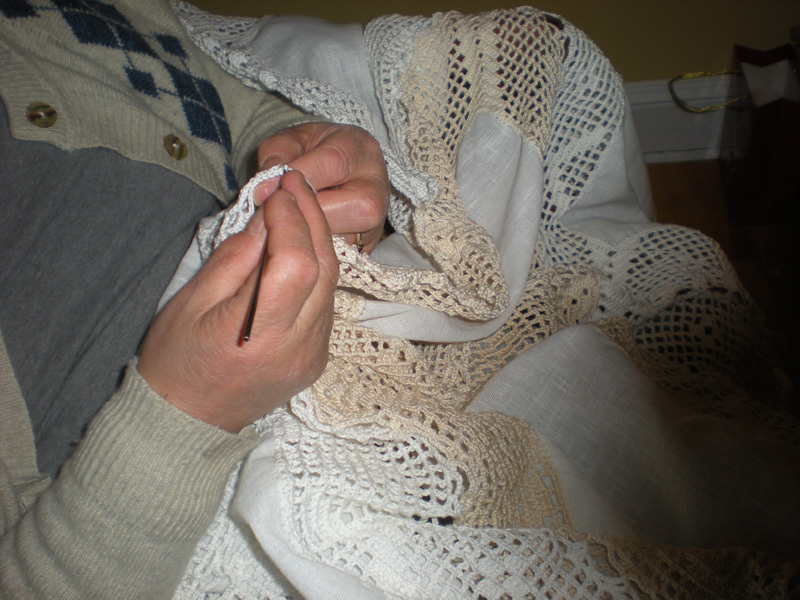 The process was using crochet and linen fabric squares. 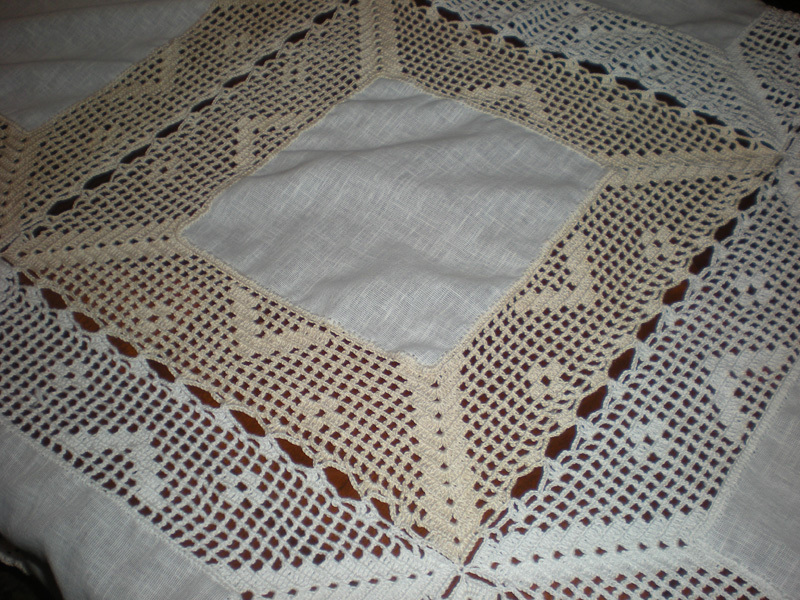 The crocheters would take a square of linen and crochet a design around it. Then they quilted all the squares together to create the baby Colcha. The Meetings: The meetings took place on Saturday evenings. Each member baked a cake for dessert. This colcha has inspired the group to each create their own colcha and to continue to meet regularly. 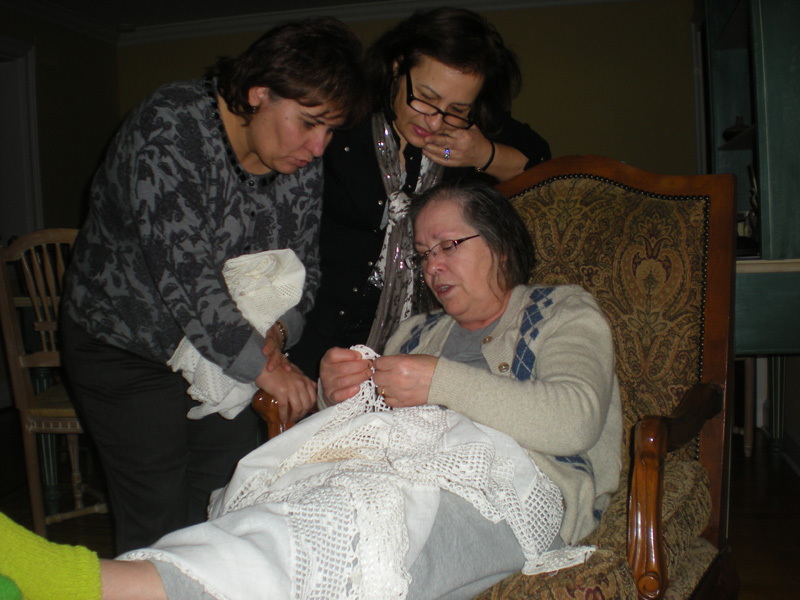 Dulce already started on hers, she had linen that her mother in law made and gave it to her 30 years ago. 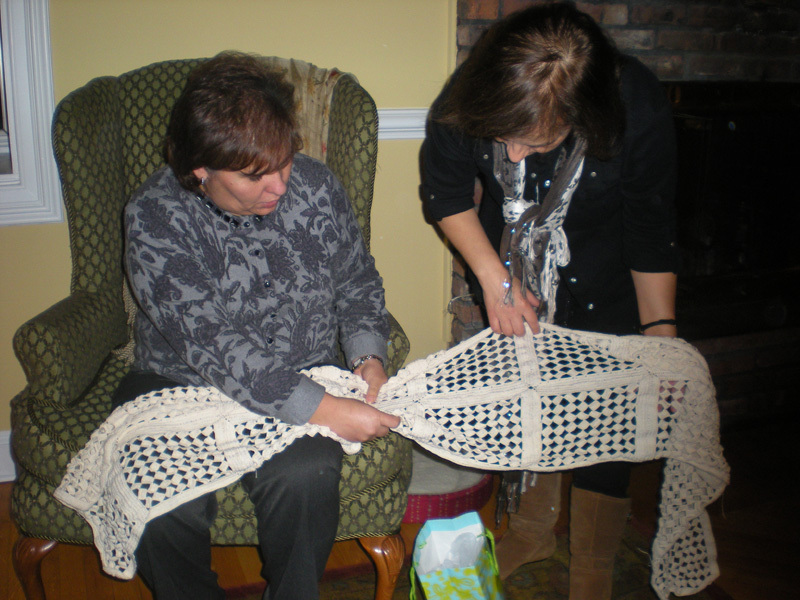 Isabel restarted on a tablecloth that she had started a few years ago. 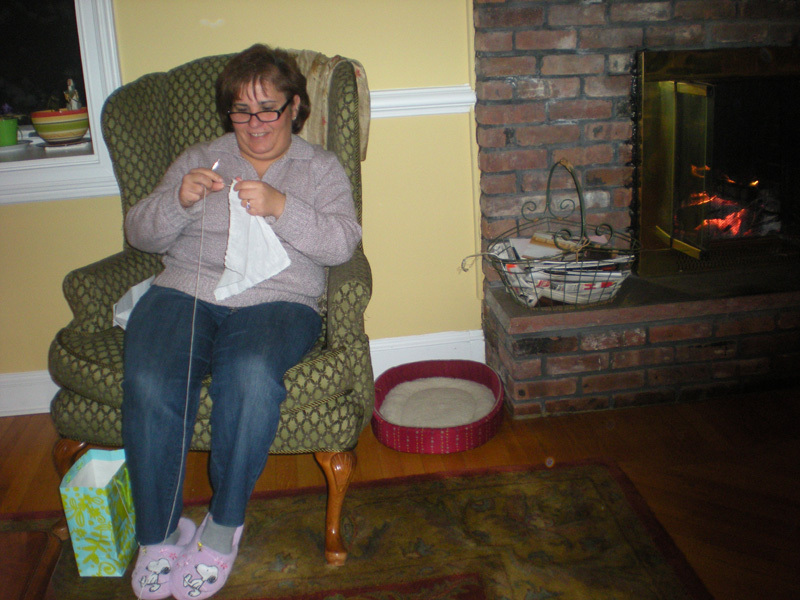 Neide being the new grandmother to-be expressed her excitement and she is also doing a blanket for the new baby grandchild. Being involved in the colcha project has brought the group valuable time together to reminisce about their family and to spend time together that otherwise may not happen.